Self Watering Planter (5") + Water Level Indicator + Fiber Soil = Foolproof Plant Care and Super Happy Plants. 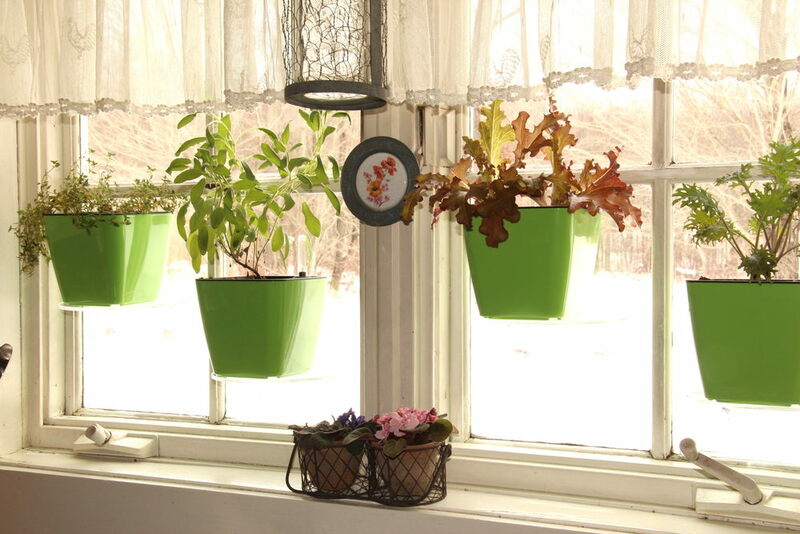 The Aquaphoric Planter by Window Garden - Your Plants Will Love It. 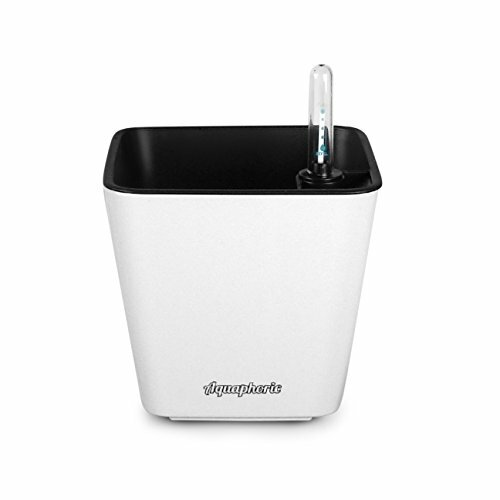 FOOLPROOF - The handy water level indicator lets you know when and how much to water. INCLUDES FIBER SOIL - All you need is a plant. Superior growing medium because roots breath better so plants live longer. LESS WATERING - Watering is reduced to weeks instead of days. Now you can go on vacation and come back home to vibrant, alive plants. PLANTS LOVE IT! - Constant water and plenty of root zone oxygen means lush growth, greater yields and more flowers. NO GREEN THUMB NEEDED - Anyone can grow beautiful plants regardless of age or ability. Great gift too! The Aquaphoric passive hydroponic planter waters from a built in aquifer offering many advantages over conventional planters. FOOLPROOF - Conventional planters must be watered precisely when needed, requiring constant checking for proper plant moisture, rarely accurate even with experience. 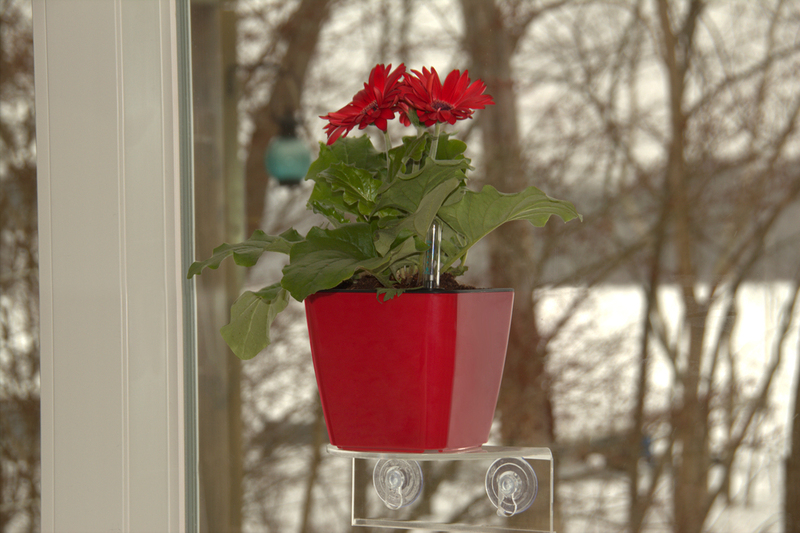 It's so easy and precise with the Aquaphoric planter, just check the water gauge to see if water is needed. No more soggy roots or wilted plants from over or under watering! LESS PLANT STRESS - Conventional planters receive water and nutrients haphazardly causing plants to stress. With the Aquaphoric planter there's a steady supply of water and nutrients so plants consistently grow, resulting in lush leaves, greater yields and abundant flowers. ROOTS BREATH - Conventional potting soil compacts and gets waterlogged, our Fiber Soil draws up just the right amount of water from the built in Aquifer. The natural fibers are like microscopic tubes allowing water to pass through without collapsing which also create millions of air spaces providing vital oxygen to plant roots. Increased oxygen means less over watering problems, the #1 reason for plant failure. Fiber Soil has minimal nutrients, for best results add fertilizer to feed your plants. We recommend Jobes spikes, they work great and they're simple to use with our planter.